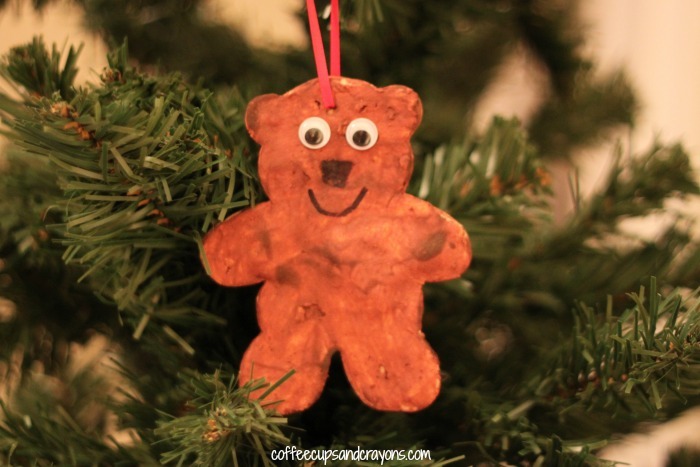 The kids and I love to make homemade ornaments! They have Christmas trees in their bedrooms full of the ornaments they have made over the years and love to reminisce about making each one. One of our favorite Christmas books is Bear Stay Up for Christmas by Karma Wilson so it was fitting to make a bear ornament to go along with the story! We made the ornaments out of salt dough which is a great activity for preschoolers. They get to mix and bake their ornaments then decorate them, it’s like making sugar cookies without the sugar high! Mix the dry ingredients together and add the water. Knead until you have a dough that can be rolled out. If it’s too sticky add a little more flour and if it’s too dry and a tiny bit of water. Roll out the dough on a floured surface until it is about 1/8 of an inch thick. 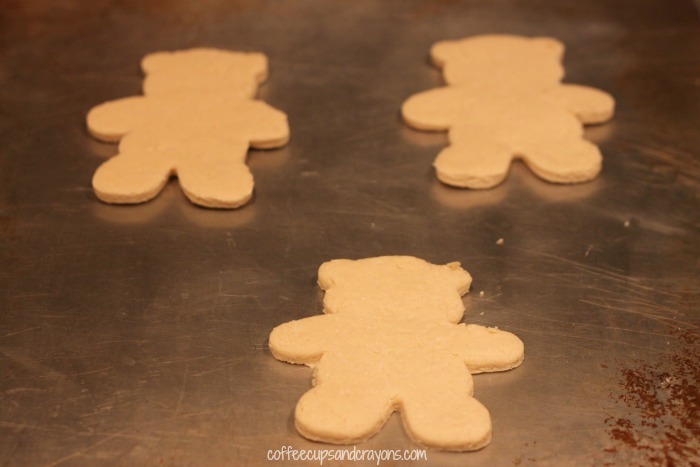 Use a cookie cutter to make your desired shape and then poke a hole through the top with a straw. Bake in the oven at 350 degrees for about 20 minutes. After our bears were cool the kids painted them and added faces. We then strung them with ribbon and hung them on the tree! 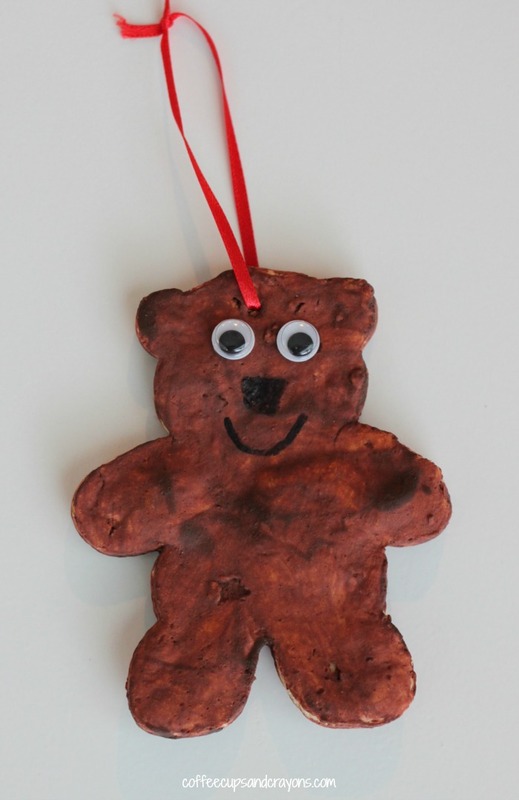 Making bear ornaments was lots of fun!